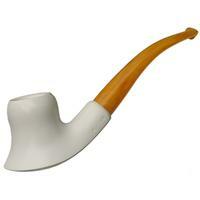 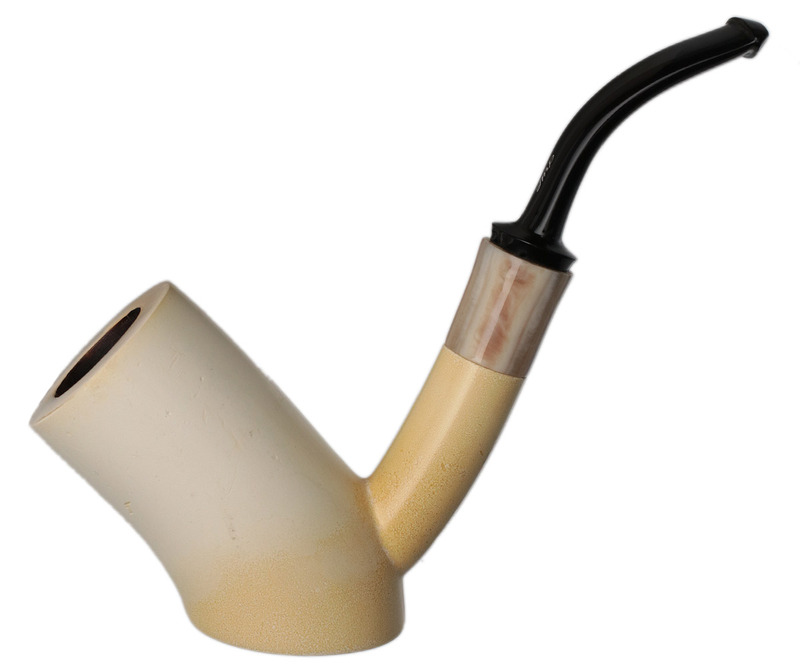 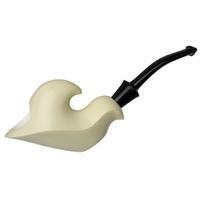 Typically speaking, figural carved meerschaums present the most unique and whimsical style; however, this jaunty Cherrywood certainly rivals them in its playful posture, especially compared to other, more standard-shaped meers. 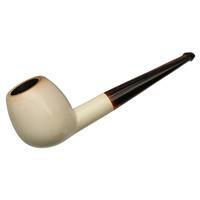 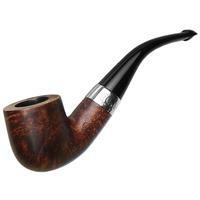 Flat of heel and incredibly forward curling of bowl, it sits sturdy and offers a wealth of chamber within. 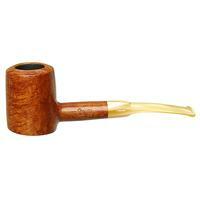 Just some minor rim darkening, handling marks, and discoloration to the finish to note in the way of condition. 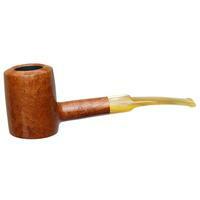 Bowl Height: 2.76 in./70.10 mm. Chamber Depth: 2.37 in./60.20 mm.